Last year, plans were floated to build a new $300 million, 25,000-seat, Major League Soccer stadium in Queens’ Flushing Meadows Corona Park, to be designed by SHoP Architects. Because of the contentious nature of using public park land to build a stadium, the project had remained out of public view, but early conceptual renderings were leaked by the Empire of Soccer blog following a lecture by SHoP principal Gregg Pasquarelli at Columbia University. According to Empire of Soccer, in a video of the lecture posted and since removed from Youtube, Pasquarelli is heard saying, “The project I’m not supposed to show (you) so I am not going to tell you where it is or what it is but it’s a new stadium that should be announced in the next couple of months.” He described the facility as a new type of stadium without walls. 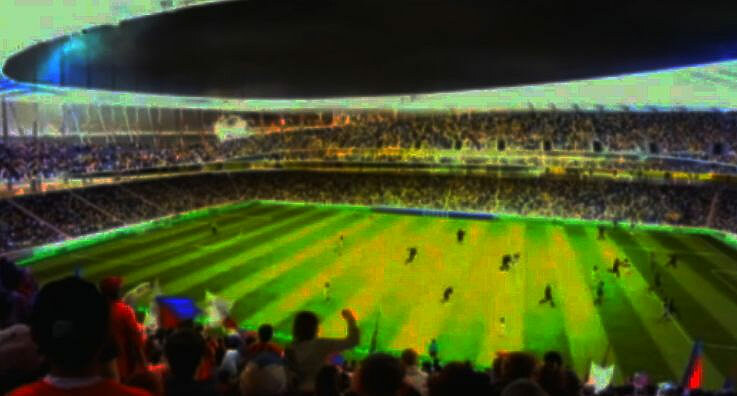 According to Capital New York, MLS president Mark Abbott denied that the proposed stadium would look like the renderings and that SHoP may not be designing the final stadium, stating: “These drawings do not represent what they stadium will look like. 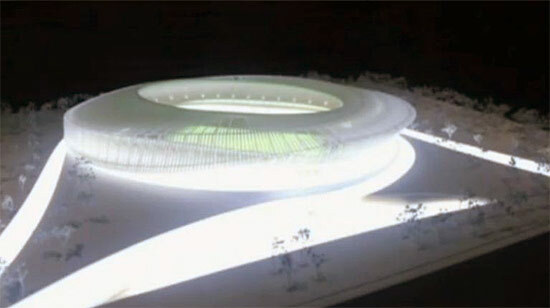 In fact, we haven’t selected an architect yet and will not start the design process until we have an owner for the club. 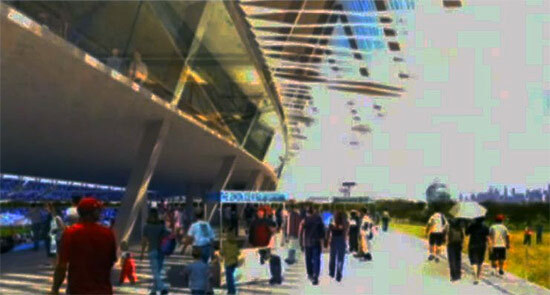 This was simply a concept drawing that was done only to help determine the potential height and footprint. 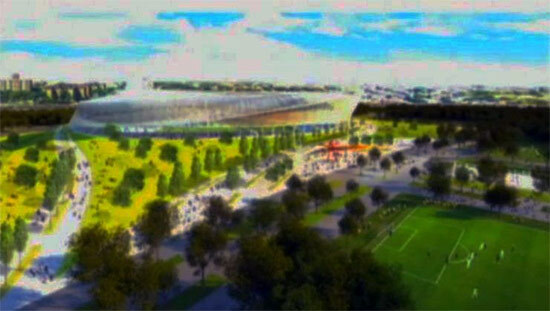 Any assertion that these drawings represent what a stadium will look like in Queens is wrong.